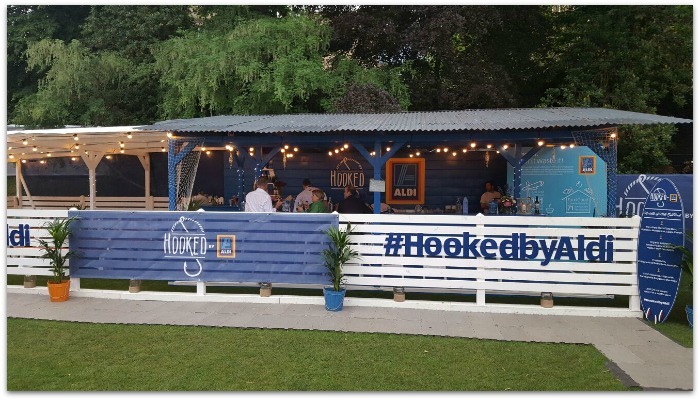 Aldi are doing something a little bit different at Taste of Dublin this year: Hooked By Aldi is a celebration of Irish seafood, stylishly served in a beach-hut restaurant, and for an excellent cause. 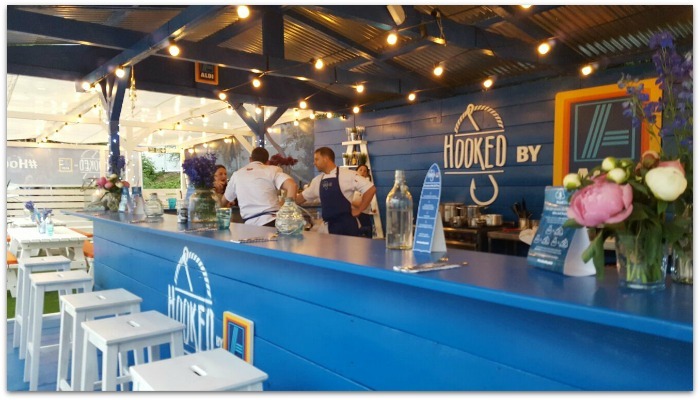 When you arrive at Taste, contact the Maitre’D to book your seat; if you’re lucky enough to snag one, you’ll be treated to an assiette of three fish dishes - followed by dessert - with matched wines. 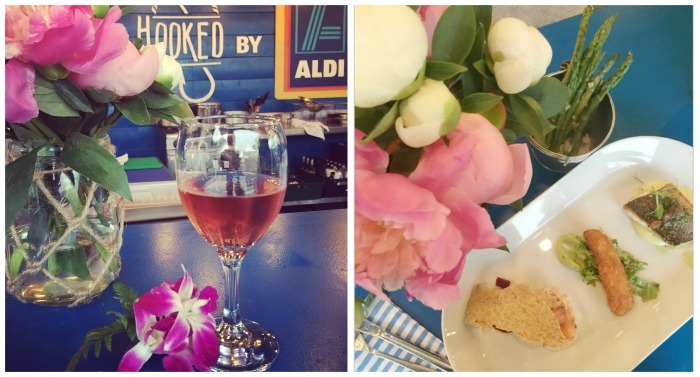 And naturally, everything served will be available in all Aldi stores nationwide. There’s no charge, but diners are asked to make a donation to FoodCloud, a social enterprise that connects businesses like Aldi, with surplus food, to local charities. This is a brilliant initiative; even a €10 donation will allows charities to provide 40 meals to people in need through FoodCloud. To date, Aldi has donated over 277,000 meals and will match the amount donated at Taste of Dublin this year. Mr Fluff and I tried out the menu out last night, and were thoroughly impressed: everything looks and tastes great, from the sea bass (one of my favourites) to the organic salmon rillete topped with smoked salmon, and the breaded hake which is served with guacamole. The ice-cream cone for dessert was perfect to take away with us as we wandered about, (plastic) glass in hand, checking out the various stalls. Other highlights of this 4-day foodie event include masterclasses from talented Irish chefs at the Electrolux Taste Theatre, a programme of music, comedy and readings on the Whelan's live stage and, of course, the chance to sample offerings from some of our best restaurants, including Chapter One, Matt the Thresher and Saba. 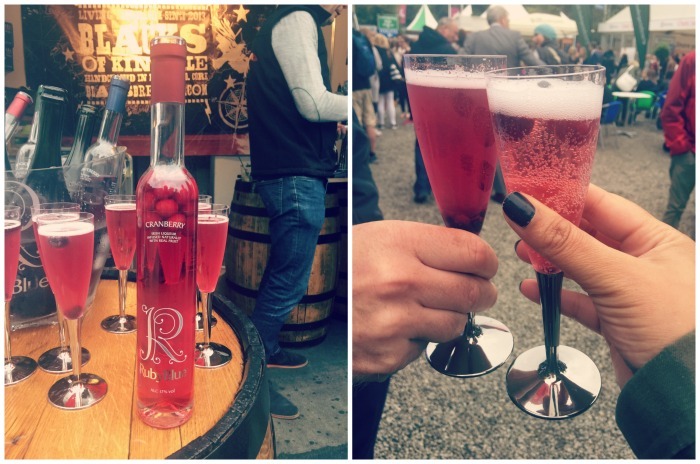 A shout-out, too, to Irish craft distillers, Ruby Blue Spirits, who make a mouth-watering range of fruit liqueurs and potato vodkas – check out their wares on Stand 67. 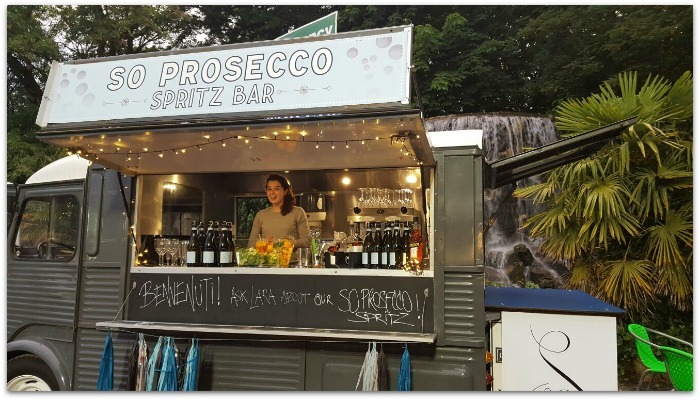 Their pimped proseccos, featuring cranberry, blueberry or blackcurrant fresh liqueurs, are absolutely gorgeous. 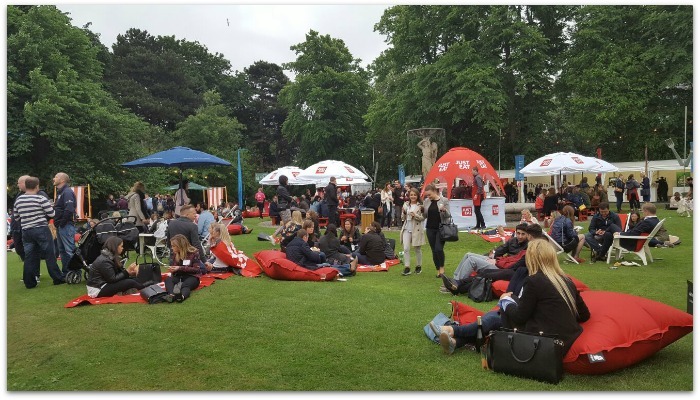 Taste of Dublin runs till 19th June at the Iveagh Gardens in Dublin; check the website for more details.